1.1. George PICKERING born c1650, died Cropton, buried 11 December 1722 Middleton, married Elizabeth UNKNOWN, buried 8 August 1710 Allerston. 1.2. John PICKERING born c1653, died Bickley, buried 23 June 1724 Ebberston, married c1680 Elizabeth UNKNOWN, died Bickley, buried 17 July 1731 Ebberston. 1.3. Henry PICKERING married Unknown UNKNOWN. 1.4. Jeremiah PICKERING born c1660, died Bickley, buried 3 September 1733 Ebberston, married 27 April 1680 Rosedale Ann MEDD died before 1730. 1.1.1. Jeremiah PICKERING husbandman, born c1682 Crosscliff, married 8 July 1702 Allerston Elizabeth HOVINGTON, died Crosscliff, buried 30 December 1732 Allerston. 1.1.2. Isabel PICKERING born c1686, married 24 August 1702 Allerston John HARLAND. 1.1.3. John PICKERING born c1688. 1.1.4. George PICKERING born c1690. 1.1.5. 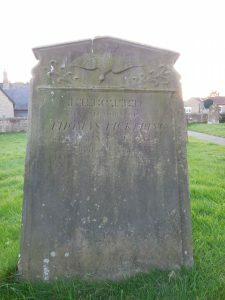 Thomas PICKERING born c1695, died Crosscliff, buried 24 June 1700 Allerston. 1.1.6. Edward PICKERING born c1697. 1.1.7. William PICKERING born c1698. 1.2.1. Thomas PICKERING baptised 13 February 1681 Ebberston, married Unknown UNKNOWN. 1.2.2. Elizabeth PICKERING baptised 4 December 1682 Ebberston, buried 13 April 1683 Ebberston. 1.2.3. John PICKERING yeoman, baptised 27 February 1687 Ebberston, died Horcum, buried 4 June 1754 Middleton, married Unknown UNKNOWN. 1.2.4. Elizabeth PICKERING baptised 14 August 1687 Ebberston, married 18 April 1721 Ebberston John HALDER. 1.2.5. (Daughter) PICKERING baptised 8 August 1703 Allerston. 1.2.6. Ann PICKERING baptised 21 January 1705 Allerston. 1.3.1. Ann PICKERING baptised 23 February 1685 Ebberston. 1.4.1. Elizabeth PICKERING baptised 20 February 1681 Ebberston, married 1 May 1705 Ebberston Brian MERCER. 1.4.2. John PICKERING born c1685, married Unknown UNKNOWN. 1.4.3. William PICKERING baptised 13 November 1692 Ebberston, died Bickley, buried 3 December 1748 Hackness, married 30 April 1728 Lastingham Mary THORPE, born c1700, buried 24 July 1784 Ebberston. 1.4.4. Mary PICKERING baptised 19 February 1690 Hackness, married 25 April 1727 Ebberston Francis WALKER. 1.1.1.1. Bartholomew PICKERING born Crosscliff, baptised c1702 Allerston, married 2 November 1736 Thornton-le-Dale Elizabeth WILKINSON baptised 10 April 1707 Thornton-le-Dale. 1.1.1.2. Gawan PICKERING born Crosscliff, baptised 15 August 1703 Allerston, buried 29 January 1773, married 1st 16 November 1725 Allerston Mary DICKINSON, buried 2 Februry 1744 Allerston, married 2nd Margaret UNKNOWN. 1.1.1.4. Mary PICKERING buried 21 May 1722 Allerston. 1.1.1.5. John PICKERING born c1710 Crosscliff, buried 27 September 1764 Allerston, married Unknown UNKNOWN. 1.1.1.7. Ann PICKERING baptised 17 June 1716 Allerston. 1.2.1.1. Thomas PICKERING yeoman, born Lockton, baptised 20 November 1726 Middleton, died Horcum, buried 19 November 1787 Middleton, married 6 December 1757 Allerston Hannah WOOD, born 1730 Newgate, died Lockton, buried 9 May 1785 Middleton. 1.2.3.1. Elizabeth PICKERING baptised 2 December 1737 Lockton. 1.2.3.2. Hannah PICKERING died Lockton buried 1 March 1741 Middleton. 1.2.3.3. John PICKERING born Lockton, baptised 1 April 1741 Middleton, died 1742 Lockton, buried 2 March Middleton. 1.2.3.4. John PICKERING born Lockton, baptised 21 June 1743 Middleton. 1.2.3.5. Edward PICKERING born Lockton, baptised 17 February 1747, died Lockton, buried 20 February 1747 Middleton. 1.2.3.6. Tabitha PICKERING born Horcum, baptised 14 May 1748 Middleton. 1.2.3.7. Richard PICKERING born 1750 Horcum, baptised 17 January 1750 Middleton. 1.4.3.1. Jeremiah PICKERING born Bickley, baptised 18 October 1731 Ebberston, died 1815 Ebberston, married Jane UNKNOWN, buried 19 April 1791 Ebberston. 1.4.3.2. Dinah PICKERING born Bickley, baptised 2 December 1732 Ebberston, married 27 November 1770 Hackness Robert GOODALL. 1.4.3.3. John PICKERING baptised 2 January 1734 Ebberston, buried 17 April 1759 Ebberston. 1.4.3.4. William PICKERING baptided 20 June 1735 Ebberston. 1.4.3.5. George PICKERING died Bickley, buried 14 May 1782 Ebberston. 1.1.1.1.1. George PICKERING yeoman, baptised 3 November 1737 Allerston, died Farmanby, buried 15 August 1819 Thornton-le-Dale, married Ann PARK 25 February 1772 Ellerburn, born c1742 Thornton-le-Dale. 1.1.1.1.2. Ann PICKERING baptised 6 July 1739 Allerston. 1.1.1.1.3. Jeremiah PICKERING baptised 18 July 1741 Allerston, buried 31 October 1811, married 8 March 1784 Ebberston Jane ALLATSON born c1759 buried 19 April 1791 Ebberston. 1.1.1.1.4. William PICKERING baptised 14 October 1743 Thornton-le-Dale. 1.1.1.1.5. Elizabeth PICKERING baptised 10 November 1747 Thornton-le-Dale. 1.1.1.1.6. John PICKERING baptised 8 November 1748 Thornton-le-Dale. 1.1.1.1.7. Henry PICKERING baptised 30 September 1749 Thornton-le-Dale, buried 24 November 1832 Thornton-le-Dale, married 9 June 1785 Thornton-le-Dale Ann TATE of Thornton-le-Dale. 1.1.1.2.1. Jane PICKERING born 1725 Lockton, married 30 January 1759 Lockton William HARLAND of Hartoft. 1.1.1.2.2. 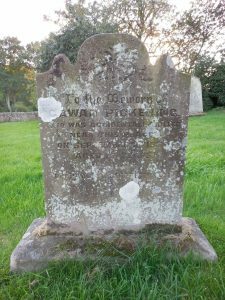 Gawan PICKERING farmer, born c1730 Crosscliff, buried 9 December 1811 Allerston, married 21 November 1758 Levisham Mary SIMPSON. 1.1.1.5.1. Mary PICKERING baptised 12 October 1740 Allerston. 1.1.1.5.2. Jeremiah PICKERING baptised 22 November 1742 Allerston, buried 8 April 1743 Allerston. 1.2.1.1.1. Jeremiah PICKERING farmer, baptised 16 March 1761 Allerston, died 31 December 1840 Lockton, married 31 July 1787 Middleton Mary HARLAND. 1.2.1.1.2. Margaret PICKERING born c1761, married July 1784 Levisham William HUGGITT, born c1757. 1.2.1.1.3. Mary PICKERING baptised 1 January 1762 Ebberston, married 12 June 1787 Middleton John METCALF, mason. 1.2.1.1.4. Jeremy PICKERING baptised 27 September 1764 Allerston. 1.2.1.1.5. Gawan PICKERING born c1773, died 1851 Sydney, New South Wales, Australia, married 1st 27 November 1797 Middleton Jane ALLANSON, baptised 9 January 1775 Thornton-le-Dale, buried 5 December 1809 Lockton, married 2nd 1821 Parramatta, New South Wales, Australia Mary TOFT, born c1800 England, and died 1843, Australia. 1.2.1.1.6. Thomas PICKERING farmer, born c1774, married 9 June 1800 Harwood Dale Jane KIDD (daughter of William KIDD) born Harwood Dale, baptised 21 July 1782 Hackness. 1.1.1.1.1.1. Mary PICKERING baptised 31 January 1773 Ellerburn, had a child with Unknown UNKNOWN. The relationship between Mary and George is based on circumstantial evidence. 1.1.1.1.1.2. George PICKERING farmer, baptised 27 September 1774, buried 15 February 1851. 1.1.1.1.1.3. William PICKERING farmer, baptised 10 February 1779 Ellerburn, died c1854 Farmaby. 1.1.1.1.3.1. William PICKERING baptised 2 April 1784 Ebberston, married Jane UNKNOWN. 1.1.1.1.3.2. 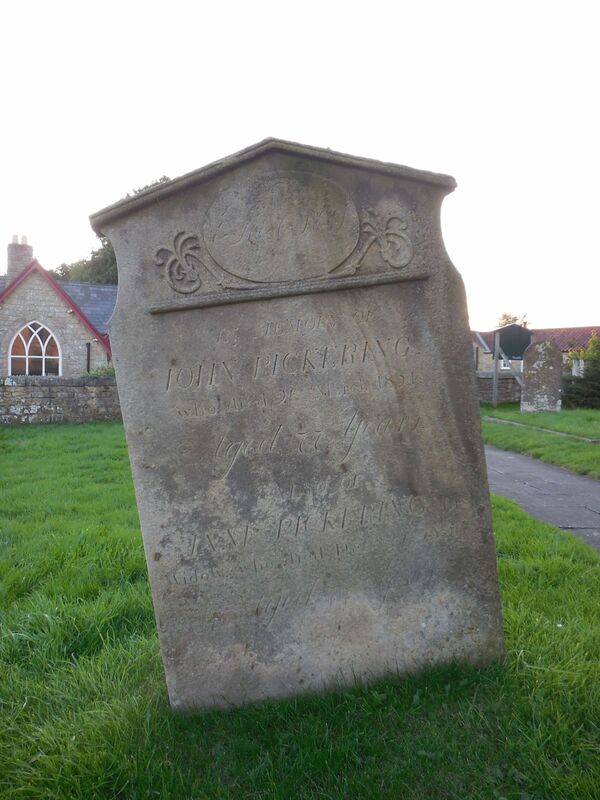 John PICKERING buried 15 February 1790 Ebberston. 1.1.1.1.3.2. Christie PICKERING baptised 20 January 1787 Ebberston. 1.1.1.1.3.4. Mary PICKERING baptised 20 January 1787 Ebberston. 1.1.1.1.7.1. Henry PICKERING baptised 20 May 1787 Thornton-le-Dale, buried 14 April 1834 Thornton-le-Dale, married 6 May 1811 Barton-le-Street Ann MUZEEN, born c1790 Butterwick, died before 1861. 1.1.1.1.7.2. Elizabeth PICKERING baptised 7 September 1790 Thornton-le-Dale. 1.1.1.1.7.3. Ann PICKERING baptised 2 October 1797 Thornton-le-Dale. 1.1.1.2.2.1. Mary PICKERING born Crosscliff c1760. 1.1.1.2.2.2. Gawan PICKERING farmer, born c1768, buried 15 November 1838 Fylingdales, married 16 January 1798 Allerston Eleanor HODGSON. John was born out of wedlock. Gawan was possibly his birth father as well as his adoptive father. 1.1.1.2.2.3. John PICKERING farmer, born c1777 Allerston, died Lockton, buried 21 March 1854 Allerston, married 27 November 1804 Allerston Jane COULTAS, born c1778 Allerston, died Newton Dale, buried 24 December 1854. 1.1.1.2.2.4. Jane PICKERING married 29 January 1788 Allerston Robinson MINTOFT. 1.1.1.2.2.5. Ann PICKERING buried 11 March 1770 Allerston. 1.1.1.2.2.6. Elizabeth PICKERING buried 15 May 1778 Allerston. 1.2.1.1.1.1. Hannah PICKERING baptised 11 August 1788 Lockton. 1.2.1.1.1.2. Jane PICKERING baptised 7 February 1790 Lockton. 1.2.1.1.1.3. Jeremiah PICKERING farmer, born Hartoft, baptised 23 September 1791 Lockton, died Hartoft, buried 2 November 1849, married 4 December 1819 Rosedale Jane HARLAND (daughter of Robert HARLAND and Mary UNKNOWN) baptised 27 February 1799 Rosedale. 1.2.1.1.1.4. Mary PICKERING baptised 28 February 1794 Lockton, died Pickering, buried 21 February 1879 Lockton. 1.2.1.1.1.5. Elizabeth PICKERING born 12 June 1796 Levisham. 1.2.1.1.1.6. Thomas PICKERING born 13 March 1798 Levisham. 1.2.1.1.1.7. William PICKERING born 17 July 1800 Levisham. 1.2.1.1.1.8. Isabel PICKERING born 12 July 1804 Levisham. 1.2.1.1.1.9 Harland PICKERING baptised 20 July 1806 Pickering, died 15 January 1872 Oakville, Halton Regional Municipality, Ontario, Canada. 1.2.1.1.1.10. Eleanor PICKERING born 7 October 1808 Great Barugh. 1.2.1.1.5.1. Hannah PICKERING baptised 22 April 1798 Lockton. 1.2.1.1.5.2. Gawan PICKERING agricultural labourer, born c1801 Pickering, buried 29 June 1868 Ampleforth, married Jane UNKNOWN, born c1809 Fryton. 1.2.1.1.5.3. John PICKERING farmer, born c1802 Levisham, baptised 1 May 1804 Pickering, married 1st 9 August 1830 Pickering Elizabeth GILL, born c1811, died before 1851 Pickering, married 2nd 1848 Pickering Ann JACKSON, born c1798 Cropton. 1.2.1.1.5.4. Thomas PICKERING born Saltersgate, baptised 13 March 1807 Middleton. 1.2.1.1.5.5. James PICKERING born c1822 New South Wales, Australia and died 1892 Parramatta, New South Wales, Australia. 1.2.1.1.5.6. George PICKERING born 1824 New South Wales, Australia and died 1900 Glebe, New South Wales, Australia. 1.2.1.1.5.7. Henry PICKERING born 1827 New South Wales, Australia and died 1893 Marrickville, New South Wales, Australia. 1.2.1.1.5.8. Mary PICKERING born 1829 New South Wales, Australia and died 1908 Stroud, New South Wales, Australia. 1.2.1.1.5.9. Jane PICKERING born 1833 New South Wales, Australia and died 1900 Hurstville, New South Wales, Australia. 1.2.1.1.6.1. Thomas PICKERING baptised 4 October 1801 Lockton. 1.2.1.1.6.2. Thomas PICKERING baptised 17 April 1803 Lockton. 1.2.1.1.6.3. Jane PICKERING baptised 10 November 1807 Pickering. 1.2.1.1.6.4. Elizabeth PICKERING baptised 28 May 1810 Pickering. 1.2.1.1.6.5. John PICKERING born Keysbeck, baptised 25 September 1810 Pickering. 1.2.1.1.6.6. Jeremiah PICKERING farmer, born Well Dale, baptised 12 June 1813 Pickering, married 1839 Whitby Ann FILBURN, (daughter of James FILBURN) baptised 29 September 1815 Scalby. 1.2.1.1.6.7. William PICKERING licensed victualler, born Keysbeck, baptised 10 March 1816, married 1839 Pickering Mary GILL (daughter of Nathan GILL and Jane UNKNOWN) born Newton-on-Rawcliffe, baptised 16 June 1817 Pickering. 1.2.1.1.6.8. John PICKERING agricultural labourer, baptised 21 October 1818 Pickering, married 1843 Pickering Bessy Ann ROBSON, born c1821 Brigham, East Yorkshire. 1.2.1.1.6.9. Ann PICKERING baptised 30 October 1821 Pickering. 1.1.1.1.1.2.1. George PICKERING farmer, born c1791, died December 1848 Brompton-by-Sawdon, married 3 January 1826 Allerston Mary LUMBARD, baptised 30 November 1798 Allerston, buried Lockton 21 February 1879. 1.1.1.1.3.1.1. Samuel PICKERING agricultural labourer, born 1823 Bickley, baptised 10 August 1823 Allerston, married 1843 Scarborough Ann HOGGARTH (daughter of John HOGGARTH and Esther UNKNOWN) baptised 4 September 1823 Egton. 1.1.1.1.7.1.1. Elizabeth PICKERING born Little Habton, baptised 2 February 1814 Kirby Misperton, married 9 February 1836 William WILSON born 1814 Nunnington. 1.1.1.1.7.1.2. Ann PICKERING born Little Habton, baptised 1 May 1815 Kirby Misperton. 1.1.1.1.7.1.3. Mary PICKERING born Little Habton, baptised 15 July 1817 Kirby Misperton. 1.1.1.1.7.1.4. Sarah PICKERING baptised 10 December 1818 Kirby Misperton. 1.1.1.1.7.1.5. Henry PICKERING farmer, born Little Habton, baptised 20 October 1823 Kirby Misperton. 1.1.1.1.7.1.6. Jane PICKERING born Little Habton, baptised 26 April 1825 Kirby Misperton. 1.1.1.2.2.1.1. John HODGSON-PICKERING farmer, born Crosscliff, baptised 18 October Allerston, died 1876 Whitby, married 16 October 1823 Fylingdales Mary Ann BURN, born c1798 Fylingdales. 1.1.1.2.2.1.2. Mary PICKERING born Crosscliff, baptised 24 April 1805 Allerston. 1.1.1.2.2.2.1. Gawan PICKERING born Crosscliff, baptised 28 November 1805 Allerston, buried 20 November 1807 Allerston. 1.1.1.2.2.2.2. Mary PICKERING straw hat maker, hosier, wine merchant, born Levisham, baptised 27 July 1807 Allerston, had a child by Unknown UNKNOWN. 1.1.1.2.2.2.3. Thomas PICKERING farmer, baptised 14 March 1810 Fylingdales, died Burniston, buried 26 November Allerston, married 4 April 1837 Ebberston Hannah TRATTLES (daughter of Leonard TRATTLES and Elizabeth UNKNOWN) baptised 16 January 1815 Lockton, buried 10 April 1863 Allerston. 1.1.1.2.2.2.4. Gawan PICKERING farmer, born Farndale, baptised 6 June 1813 Fylingdales, died 1877 Pickering, married 8 October 1836 Ebberston Jane MARTINDALE (daughter of John MARTINDALE and Elizabeth UNKNOWN) born Newton-on-Rawcliffe, baptised 7 November 1819 Pickering. 1.1.1.2.2.2.5. David PICKERING agricultural labourer, born Crosscliff, baptised 10 March 1815 Allerston, married Catherine UNKNOWN, born c1821 Newcastle, Northumberland. 1.1.1.2.2.2.6. 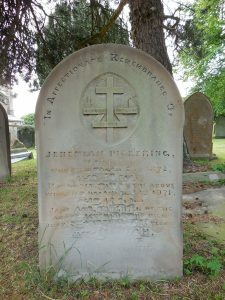 William PICKERING born Crosscliff, baptised 10 March 1816 Allerston, died Bickley, buried 4 February 1841 Ebberston. 1.1.1.2.2.2.7. John PICKERING agricultural labourer, born c1817 Fylingdales, married 21 November 1843 Brompton By Sawdon Hannah WALLACE, (daughter of Christopher WALLACE and Esther UNKNOWN) born January 1824 Levisham. 1.1.1.2.2.2.8. George PICKERING farmer, born c1818 Fylingdales, married 10 May 1847 Pickering Phoebe COATES (daughter of John COATES and Phoebe UNKNOWN) born December 1824 Carlton Husthwaite. 1.2.1.1.1.3.1. Jeremiah PICKERING born Hartoft, baptised 2 September 1821 Rosedale, married 1st 1848 Pickering Hannah THORP, died Hartoft, buried 9 July 1850 Rosedale, married 2nd 1854 Whitby Margaret TRATTLES, born c1825 Ugthorpe. 1.2.1.1.1.3.2. Mary Jane PICKERING baptised 23 February 1823 Rosedale. 1.2.1.1.1.3.3. Robert Harland PICKERING born Hartoft, baptised 9 April 1826 Rosedale. 1.2.1.1.1.3.4. John PICKERING baptised 12 December 1832 Rosedale, buried 24 March 1843 Rosedale. 1.2.1.1.1.3.5. Thomas PICKERING grocer, born c1836 Hartoft, married Harriet UNKNOWN, dressmaker, born c1836 Sinnington. 1.2.1.1.1.3.6. William PICKERING farm servant, born Hartoft, baptised 24 November 1839 Rosedale. 1.2.1.1.1.3.7. Hannah PICKERING baptised 26 November 1837 Rosedale. 1.2.1.1.1.3.8. 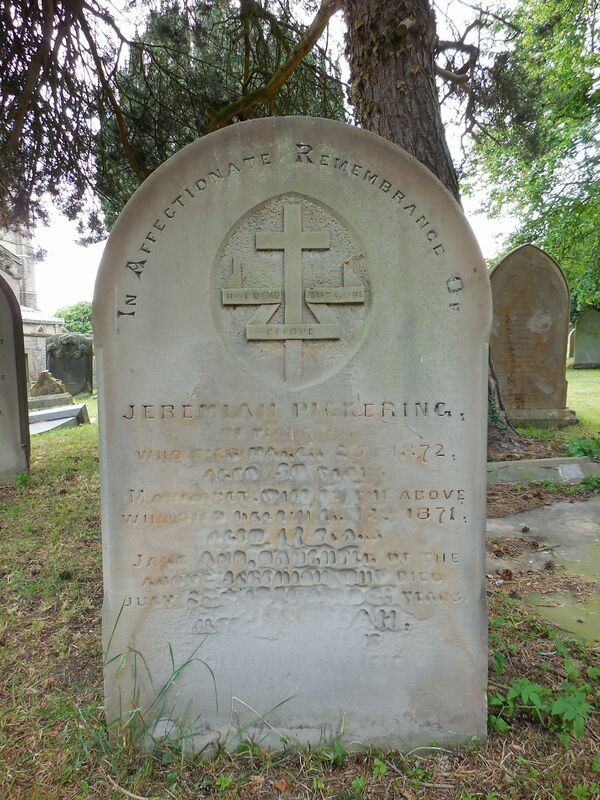 Henry PICKERING joiner, baptised 24 November 1839 Hartoft, married 1862 Helmsley Susannah UNKNOWN. 1.2.1.1.1.3.9. David PICKERING baptised 14 August 1842 Rosedale. 1.2.1.1.5.7.1. John PICKERING agricultural labourer, born c1835 Coneysthorpe. 1.2.1.1.5.7.2. George PICKERING quarryman, born c1839 Coneysthorpe. 1.2.1.1.5.7.3. Mary Jane PICKERING baptised 14 November 1841 Barton-le-Street. 1.2.1.1.5.8.1. Mary Ann PICKERING baptised 20 March 1831 Pickering. 1.2.1.1.5.8.2. Jane PICKERING baptised 15 April 1832 Pickering. 1.2.1.1.5.8.3. John PICKERING baptised 7 July 1836 Pickering. 1.2.1.1.5.8.4. Jeremiah PICKERING baptised 25 March 1838 Pickering. 1.2.1.1.5.8.5. Nathan PICKERING farmer, butcher, born Raindale, baptised 19 May 1839 Pickering, died after 1911 Newton Dale, married 1st Unknown UNKNOWN, married 2nd Rachel HUMBLE. 1.2.1.1.5.8.6. John PICKERING agricultural labourer, born Newton-on-Rawcliffe, baptised 4 October 1840 Pickering, married c1867 Pickering Mary UNKNOWN, born c1847 Lockton. 1.2.1.1.5.8.7. Jeremiah PICKERING baptised 23 July 1843 Pickering, died before 1851 Pickering. 1.2.1.1.6.6.1. Thomas PICKERING agricultural labourer, baptised 19 July 1840 Pickering. 1.2.1.1.6.6.2. John PICKERING labourer, baptised 11 December 1842 Pickering. 1.2.1.1.6.6.3. Sarah PICKERING baptised 16 February 1845 Pickering. 1.2.1.1.6.6.4. Jane PICKERING born Raindale, baptised 19 July 1846 Pickering. 1.2.1.1.6.6.5. William PICKERING stone quarry labourer, born Raindale, baptised 16 April 1848 Pickering, married Mary FLETCHER, baptised 22 March 1845 Danby. 1.2.1.1.6.6.6. Mary PICKERING born Raindale, baptised 26 August 1849 Pickering, had children by Unknown UNKNOWN. 1.2.1.1.6.6.7. Ann PICKERING born Raindale, baptised 9 March Pickering. 1.2.1.1.6.6.8. Jeremiah PICKERING baptised 30 May 1852 Pickering. 1.2.1.1.6.6.9. James PICKERING born Raindale, baptised 28 May 1854 Pickering. 1.2.1.1.6.6.10. Sarah PICKERING born Raindale, baptised 13 April 1856 Pickering. 1.2.1.1.6.6.11. Hannah PICKERING baptised 9 September 1860 Pickering. 1.2.1.1.6.7.1. Jane PICKERING baptised 2 December 1839 Pickering. 1.2.1.1.6.7.2. Hannah PICKERING born 1842 Newholm. 1.2.1.1.6.7.3. John PICKERING engine fitter, born Newholm, baptised 19 October 1845 Whitby, married 24 December 1871 Eston Margaret Ann BARNFATHER, died before 1881. 1.2.1.1.6.7.4. Jane PICKERING born Newholm, baptised 2 January 1848 Whitby. 1.2.1.1.6.7.5. Elizabeth PICKERING born 1849 Newholm. 1.2.1.1.6.7.6. William PICKERING born 1852 Newholm. 1.2.1.1.6.7.7. Mary Ann PICKERING born 1858 Newholm. 1.2.1.1.6.8.1. Margaret PICKERING baptised 18 May 1843 Eskdaleside. 1.2.1.1.6.8.2. Thomas Walker PICKERING carter, born Aislaby, baptised 18 May 1845 Whitby. 1.2.1.1.6.8.3. William PICKERING cowboy, labourer, born Eskdaleside, baptised 28 June 1847 Glaisdale. 1.2.1.1.6.8.4. Bessy Ann PICKERING baptised 28 July 1850 Lockton, married 1867 Pickering Matthew SMITH. 1.2.1.1.6.8.5. John PICKERING baptised 21 September 1851 Lockton. 1.2.1.1.6.8.6. Jane PICKERING baptised 25 March 1854 Lockton. 1.2.1.1.6.8.7. Jeremiah PICKERING baptised 24 November 1855 Lockton. 1.2.1.1.6.8.8. James PICKERING baptised 18 October 1857 Pickering. 1.2.1.1.6.8.9. George PICKERING baptised 15 February 1860 Pickering. 1.2.1.1.6.8.10. Mary PICKERING born 1861 Pickering. 1.1.1.1.1.2.1.1. George PICKERING born Ryton, baptised 25 September 1827 Kirby Misperton, buried 17 October 1827 Thornton-le-Dale. 1.1.1.1.1.2.1.2. Mary PICKERING farmer, born Thornton-le-Dale, baptised 17 June 1829 Ellerburn, married 1856 Pickering Robert Monkman HAYES (son of Charles HAYES and Ann UNKNOWN) mariner, born 1822 Pickering. 1.1.1.1.1.2.1.3. John PICKERING farmer, born Kingthorpe, baptised 21 June 1831 Pickering, died 1859 Pickering, married 1854 Scarborough Elizabeth Mallory HARRISON (daughter of James HARRISON and Hannah UNKNOWN) born Langtoft, East Yorkshire, baptised 11 April 1826 Kilham. 1.1.1.1.1.2.1.4. William PICKERING born Kingthorpe, baptised 24 January 1833 Pickering. 1.1.1.1.1.2.1.5. Ann PICKERING born Kingthorpe, baptised 29 April 1834 Pickering. 1.1.1.1.1.2.1.6. George PICKERING baptised 17 January 1836 Brompton By Sawdon. 1.1.1.1.1.2.1.7. Henry PICKERING farmer, baptised 21 January 1838 Brompton By Sawdon, married 1858 Pickering Anne ROBERTSON born c1836 Thornton-le-Dale. 1.1.1.1.3.1.1.1. William PICKERING labourer, born 1846 Glaisdale, married 1875 Stockton, Co. Durham Maria SMITH born c1854 Stockton, Co. Durham. 1.1.1.1.3.1.1.2. Jane Ann PICKERING born 1848 Glaisdale, married1870 Stockton, Co. Durham William WHITE died before 1881. 1.1.1.1.3.1.1.3. Esther Margaret PICKERING born 1850 Glaisdale. 1.1.1.1.3.1.1.4. Hannah Mary PICKERING born 1851 Glaisdale. 1.1.1.1.3.1.1.5. John Hogarth PICKERING born 1852 Glaisdale. 1.1.1.1.3.1.1.6. Elizabeth PICKERING baptised 11 June1854 Glaisdale. 1.1.1.1.3.1.1.7. George Henry PICKERING warehouseman, baptised 20 June 1858 Glaisdale. 1.1.1.1.3.1.1.8. David Edmund PICKERING ironworker, baptised 11 September 1859 Glaisdale. 1.1.1.1.3.1.1.9. Emma PICKERING born 1861 Glaisdale. 1.1.1.1.3.1.1.10. Rachel Anne PICKERING baptised 15 August 1862 Glaisdale. 1.1.1.1.3.1.1.11. Caroline Eliza PICKERING baptised 28 September 1865 Glaisdale. 1.1.1.2.2.1.1.1. Thomas PICKERING butcher, farmer born c1824 Fylingdales. 1.1.1.2.2.1.1.2. Gawan Hodgson PICKERING farmer, born c1826 Fylingdales, died 1869 Whitby, married 9 February 1856 Whitby Jane JACKSON born c1835 Ruswarp. 1.1.1.2.2.1.1.3. John PICKERING farmer, born c1829 Fylingdales, married after 1871 Elizabeth A. UNKNOWN born c1841 Fylingdales. 1.1.1.2.2.1.1.4. Matthew Hodgson PICKERING farmer, born c1832 Sleights, married 1857 Whitby Elizabeth HARLAND born c1837 Sleights. 1.1.1.2.2.1.1.5. William Hodgson PICKERING farmer, born c1834 Fylingdales, married 1st 1858 Whitby Elizabeth LEADSON (daughter of William LEADSON and Mary UNKNOWN) born c1834 Fylingdales, died 1869 Whitby, married 2nd 1878 Whitby Jane SMALLWOOD born c1844 Fylingdales. 1.1.1.2.2.1.1.6. Mary Ann PICKERING born c1837 Fylingdales. 1.1.1.2.2.2.2.1. Robert PICKERING grocer, draper, born c1836 in Pickering, married 1858 Whitby Ann Elizabeth BOOTH born c1833 in Sandsend. 1.1.1.2.2.2.3.1. Elizabeth PICKERING baptised 3 June 1839 Ebberston. 1.1.1.2.2.2.3.2. John PICKERING tailor, born Bickley, baptised 30 April 1841 Ebberston. 1.1.1.2.2.2.3.3. Thomas PICKERING baptised 22 October 1845 Ebberston. 1.1.1.2.2.2.3.4. Leonard PICKERING farm labourer, born Bickley, baptised 27 August 1847 Ebberston. 1.1.1.2.2.2.3.5. Jane PICKERING baptised 3 September 1850 Ebberston. 1.1.1.2.2.2.3.6. George PICKERING born Bickley, baptised 19 January 1853 Ebberston. 1.1.1.2.2.2.4.1. Jane PICKERING baptized 15 December 1837 Allerston. 1.1.1.2.2.2.4.2. John PICKERING quarry labourer, born Crosscliff, baptised 23 January 1839 Allerston, married 1863 Pickering Ann LOWTHER born c1842 Pickering. 1.1.1.2.2.2.4.3. Gawan PICKERING hind, born Crosscliff, baptised 3 July 1841 Allerston, died 1916 Scarborough, married 1865 Scarborough Hannah BOYES born c1835. 1.1.1.2.2.2.4.4. Elizabeth Jane PICKERING baptised 9 April 1845 Allerston, had a child by Unknown UNKNOWN. 1.1.1.2.2.2.4.5. Mary PICKERING born Crosscliff, baptised 19 January Allerston. 1.1.1.2.2.2.4.6. George PICKERING born Bickley, baptised 3 September 1850 Ebberston. 1.1.1.2.2.2.4.7. William PICKERING baptised 13 May 1853 Ebberston. 1.1.1.2.2.2.4.8. Hannah PICKERING born Bickley, baptised 25 March 1856 Ebberston, married 28 July 1877 Cloughton Edward TURNER. 1.1.1.2.2.2.4.9. Rachel PICKERING born Bickley, baptised 23 March 1859, had a child by Unknown UNKNOWN, married 22 September 1883 Cloughton John HODGSON. William was born out of wedlock. John was possibly his birth father as well as his adoptive father. 1.1.1.2.2.2.5.1. Susannah PICKERING born 1842 Norton. 1.1.1.2.2.2.5.2. Jane PICKERING born c1842 Norton. 1.1.1.2.2.2.5.3. Ann PICKERING born c1849 Norton. 1.1.1.2.2.2.7.1. John PICKERING agricultural labourer, born Bickley, baptised 28 September 1844 Ebberston, married 1867 Pickering Jane FOSTER born c1847 Appleton-le-Moors. 1.1.1.2.2.2.7.2. Jane PICKERING baptised 8 September 1846 Ebberston. 1.1.1.2.2.2.7.3. Mary Jane PICKERING baptised 30 July 1848 Pickering. 1.1.1.2.2.2.7.4. Esther PICKERING born Newton-on-Rawcliffe, baptised 28 July 1850 Pickering, had a child by Unknown UNKNOWN. 1.1.1.2.2.2.7.5. George PICKERING gardener, groom, born 1853 Newton-on-Rawcliffe, baptised 17 April Pickering, married Hannah UNKNOWN born c1855 Hartoft. 1.1.1.2.2.2.7.6. Thomas PICKERING born Newton-on-Rawcliffe, baptised 14 September 1856 Pickering. 1.1.1.2.2.2.7.7. Hannah PICKERING born Newton-on-Rawcliffe, baptised 19 June 1859 Pickering. 1.1.1.2.2.2.7.8. Mary Ann PICKERING born Newton-on-Rawcliffe, baptised 26 January 1862 Pickering. 1.1.1.2.2.2.7.9. Elizabeth PICKERING born 1866 Newton-on-Rawcliffe. 1.1.1.2.2.2.8.1. George PICKERING born Bickley, baptised 16 October 1847 Ebberston, died before 1861. 1.1.1.2.2.2.8.2. George PICKERING gamekeeper, born Bickley, baptised 12 August 1849 Hackness, married 1876 Darlington, Co. Durham Betsy JEFFERSON (daughter of Israel JEFFERSON and Jane UNKNOWN) born Staintondale, baptised 25 October 1846 Cloughton. 1.1.1.2.2.2.8.3. John PICKERING police officer, born 1852 Bickley, baptised 6 June 1852 Hackness, married Eleanor Paley UNKNOWN. 1.1.1.2.2.2.8.4. Thomas PICKERING born Newton-on-Rawcliffe, baptised 6 July 1856 Pickering. 1.2.1.1.1.3.1.1. Jeremiah PICKERING born Hartoft, baptised 6 May 1849 Rosedale. 1.2.1.1.1.3.1.2. Jane Ann PICKERING baptised 2 June 1850 Rosedale. 1.2.1.1.1.3.1.3. William PICKERING born c1856 Hartoft. 1.2.1.1.1.3.5.1. Elizabeth Hannah PICKERING baptised 22 September 1864 Sinnington. 1.2.1.1.1.3.8.1. Annie Barker PICKERING baptised 25 February 1866 Sinnington. 1.2.1.1.1.3.8.2. John Henry PICKERING baptised 24 April 1868 Sinnington. 1.2.1.1.5.8.5.1. Elizabeth PICKERING born c1867 Lockton. 1.2.1.1.5.8.5.2. John PICKERING born c1868 Cropton. 1.2.1.1.5.8.5.3. William PICKERING born c1872 Troutsdale. 1.2.1.1.5.8.5.4. Henry PICKERING born c.1875 Newton Dale. 1.2.1.1.5.8.5.5. Frank PICKERING born c1877 Newton Dale. 1.2.1.1.5.8.5.6. Alice PICKERING born c1878 Newton Dale. 1.2.1.1.5.8.5.7. Thomas PICKERING born 1879 Newton Dale. 1.2.1.1.5.8.6.1. John W. PICKERING born c1869 Lockton. 1.2.1.1.6.6.5.1. John William PICKERING born c1869 Newbridge, Pickering. 1.2.1.1.6.6.5.2. Hannah Mary PICKERING born c1871 Newbridge, Pickering. 1.2.1.1.6.6.5.3. Annie E. PICKERING born c1875 Danby. 1.2.1.1.6.6.5.4. Sarah Jane PICKERING born c1878 Danby. 1.2.1.1.6.6.5.5. Tom PICKERING born c1881 Pickering. 1.2.1.1.6.6.5.6. Arthur PICKERING born 1883 Pickering, died 1951, married 1905 Edith Ann HAWSON. 1.2.1.1.6.6.5.7. Ruth PICKERING born c1885 Newbridge, Pickering. 1.2.1.1.6.6.5.8. Harry PICKERING born 1888, Pickering. 1.2.1.1.6.6.5.9. Thomas William PICKERING born c1892 Pickering. 1.2.1.1.6.6.6.1. Sarah Ann PICKERING baptised 26 January 1873 Pickering. 1.2.1.1.6.6.6.2. Jane PICKERING born c1877 Pickering, married William HOWES born c1857 Kilverstone, Norfolk. 1.2.1.1.6.7.3.1. Elizabeth PICKERING born c1873 High Normanby. 1.1.1.1.1.2.1.3.1. George Edward PICKERING draper, born Allerston Marishes, baptised 21 April 1857 Allerston. 1.1.1.1.1.2.1.3.2. Mary Elizabeth PICKERING born Allerston Marishes, baptised 5 November Allerston. 1.1.1.1.3.1.1.1.1. William John PICKERING born 1876 Picton. 1.1.1.1.3.1.1.1.2. Samuel PICKERING born 1879 Picton. 1.1.1.1.7.1.1.3.1. John Wilson PICKERING born 1855 Sleights. 1.1.1.1.7.1.1.3.2. Robert PICKERING baptised 1857 Sleights. 1.1.1.1.7.1.1.3.3. Thomas PICKERING born 1859 Sleights. 1.1.1.1.7.1.1.6.1. Isabella K. PICKERING born c1861 Scotland. 1.1.1.1.7.1.1.6.2. Elizabeth PICKERING born c1864 Scotland. 1.1.1.1.7.1.1.6.3. William T. PICKERING born c1868 Whickham, Co. Durham, England. 1.1.1.1.7.1.1.6.4. James Blair PICKERING born c1871 Scalby. 1.1.1.1.7.1.1.6.5. Edith Ann PICKERING baptised 24 July 1872 Scalby. 1.1.1.1.7.1.1.6.6. Emily H. PICKERING born c1875 Scalby. 1.1.1.1.7.1.1.6.7. Mabel F. PICKERING born c1878 Hutton Buscel. 1.1.1.2.2.1.1.2.1. John Hodgson PICKERING farmer, baptised 20 January 1857 Fylingdales, married 1st 24 October 1874 Whitby Elizabeth ATKINSON, born Whitby, married 2nd Rebecca UNKNOWN after 1881, born c1855 Fylingdales. 1.1.1.2.2.1.1.2.2. Thomas Hodgson PICKERING born 1859 Newholm, died 1889 Scarborough, married 3 December 1882 Scarborough Lucy GARRETT, born c1857. 1.1.1.2.2.1.1.2.3. William Hodgson PICKERING farmer, born Newholm, baptised 22 September 1861 Whitby, married 5 June 1884 Whitby Mary DONKIN, born c1862 Fylingdales. 1.1.1.2.2.1.1.2.4. Margaret Jane Hodgson PICKERING born 1863 Newholm. 1.1.1.2.2.1.1.2.5. Gawan Hodgson PICKERING born 1865 Fylingdales, died 1924 Whitby, married 1st Unknown UNKNOWN, married 1908 Whitby 2nd Fannie Elizabeth BOOTH, born 1881 Whitby. 1.1.1.2.2.1.1.2.6. Marianne PICKERING baptised 12 July 1868 Fylingdales. 1.1.1.2.2.1.1.4.1. Ann PICKERING baptised 27 February 1859 Sleights. 1.1.1.2.2.1.1.4.2. John Hodgson PICKERING baptised 23 December Sleights. 1.1.1.2.2.1.1.4.3. Mary Jane Hodgson PICKERING baptised 8 May 1864 Fylingdales. 1.1.1.2.2.1.1.5.1. William Leadson PICKERING boarn Newholm, baptised 4 May 1862 Fylingdales. 1.1.1.2.2.1.1.5.2. John PICKERING baptised 7 February 1864 Fylingdales, died 1877 Whitby. 1.1.1.2.2.1.1.5.3. Thomas Hodgson PICKERING farmer, baptised 13 June 1869 Fylingdales, married 1898 Whitby Susannah SAYERS, born c1880 Whitby. 1.1.1.2.2.2.2.1.1. Mary E. PICKERING born c1860 Sandsend. 1.1.1.2.2.2.2.1.2. Annie Eleanor PICKERING born c1864 Lythe. 1.1.1.2.2.2.2.1.3. Alice Jane PICKERING born c1867 Lythe. 1.1.1.2.2.2.4.2.1. Gawan PICKERING born c1863 Pickering, killed accidentally 1878 Allerston. 1.1.1.2.2.2.4.2.2. George PICKERING born c1865 Pickering. 1.1.1.2.2.2.4.2.3. Jane Hannah PICKERING born c1867 Pickering. 1.1.1.2.2.2.4.2.4. Rachel Ann PICKERING born c1869 Newbridge, Pickering. 1.1.1.2.2.2.4.2.5. Mary PICKERING born c1872 Newbridge, Pickering. 1.1.1.2.2.2.4.2.6. Elizabeth PICKERING born c1875 Newbridge, Pickering. 1.1.1.2.2.2.4.2.7. John M PICKERING born c1878 Newbridge, Pickering. 1.1.1.2.2.2.4.2.8. Grace PICKERING born c1881 Newbridge, Pickering. 1.1.1.2.2.2.4.4.1. Martha PICKERING baptised 20 August 1865 Pickering. 1.1.1.2.2.2.4.9.1. William Hodgson PICKERING baptised 9 July 1882 Cloughton, died December quarter 1882. 1.1.1.2.2.2.7.1.1. Thomas PICKERING born c1869 Cropton. 1.1.1.2.2.2.7.1.2. Mary J PICKERING born c1878 Cropton. 1.1.1.2.2.2.7.4.1. John Thomas PICKERING born c1880 Cropton. 1.1.1.2.2.2.8.2.1. George PICKERING born 1877 Thornton-le-Dale. 1.1.1.2.2.2.8.2.2. Jane PICKERING born 1879 Thornton-le-Dale. 1.2.1.1.6.6.5.6.1. Jenny PICKERING born 1907 Pickering. 1.2.1.1.6.6.5.6.2. Annie Elizabeth PICKERING born 1911 Pickering. 1.2.1.1.6.6.5.6.3. Mary PICKERING born 1913 Pickering. 1.2.1.1.6.6.5.6.4. Arthur PICKERING born 1915 Pickering. 1.2.1.1.6.6.5.6.5. Robert PICKERING born 1918 Pickering. 1.2.1.1.6.6.5.6.6. Edith PICKERING born 1920 Pickering. 1.2.1.1.6.6.5.6.7. Margaret PICKERING born 1923 Pickering. 1.2.1.1.6.6.5.6.8. Bruce PICKERING born 1926 Pickering. 1.2.1.1.6.6.5.6.3. Ewart William PICKERING born 10 September 1930 Pickering, died 9 June 2013 London, married 17 March 1956 London, Camberwell Mary MULLANE born 1926 Camberwell. 1.1.1.2.2.1.1.2.1.1. Mary Ann PICKERING born c1877 Staintondale. 1.1.1.2.2.1.1.2.1.2. Martha Jane PICKERING born 1882 Fylingdales. 1.1.1.2.2.1.1.2.1.3. Gawan Hodgson PICKERING born 1885 Stoupe Brow, Fylingdales, and died 1969. 1.1.1.2.2.1.1.2.1.4. Rebecca Hodgson PICKERING born 1892 Fylingdales. 1.1.1.2.2.1.1.2.1.5. John William H. PICKERING born 1896 Fylingdales. 1.1.1.2.2.1.1.2.3.1. William Hodgson PICKERING born 1885 Fylingdales. 1.1.1.2.2.1.1.2.3.2. Christopher Hodgson PICKERING born 1887 Fylingdales. 1.1.1.2.2.1.1.2.3.3. John Hodgson PICKERING born 1889 Fylingdales. 1.1.1.2.2.1.1.2.3.4. Thomas Hodgson PICKERING born 1890 Fylingdales. 1.1.1.2.2.1.1.2.3.5. Francis Hodgson PICKERING born 1892 Fylingdales. 1.1.1.2.2.1.1.2.3.6. Mary Margaret H. PICKERING born 1894 Fylingdales. 1.1.1.2.2.1.1.2.3.7. Henry Hodgson PICKERING born 1895 Fylingdales. 1.1.1.2.2.1.1.2.3.8. Elizabeth Jane H. PICKERING born 1897 Fylingdales. 1.1.1.2.2.1.1.2.3.9. 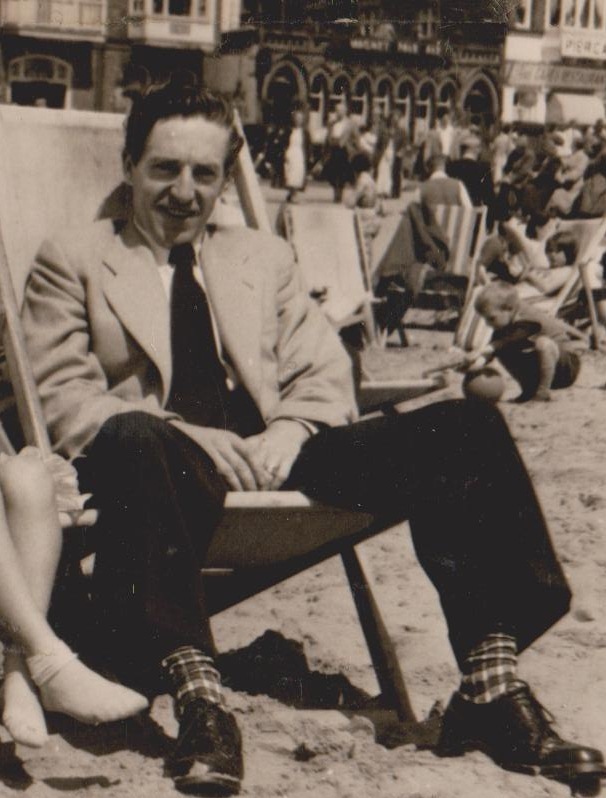 George PICKERING born 1899 Fylingdales. 1.1.1.2.2.1.1.2.3.10. Walter Hodgson PICKERING born 1900 Fylingdales. 1.1.1.2.2.1.1.2.3.11. Alice May PICKERING born 1902 Fylingdales. 1.1.1.2.2.1.1.2.5.1. Gawan Hodgson PICKERING born 1884 Fylingdales. 1.1.1.2.2.1.1.2.5.2. 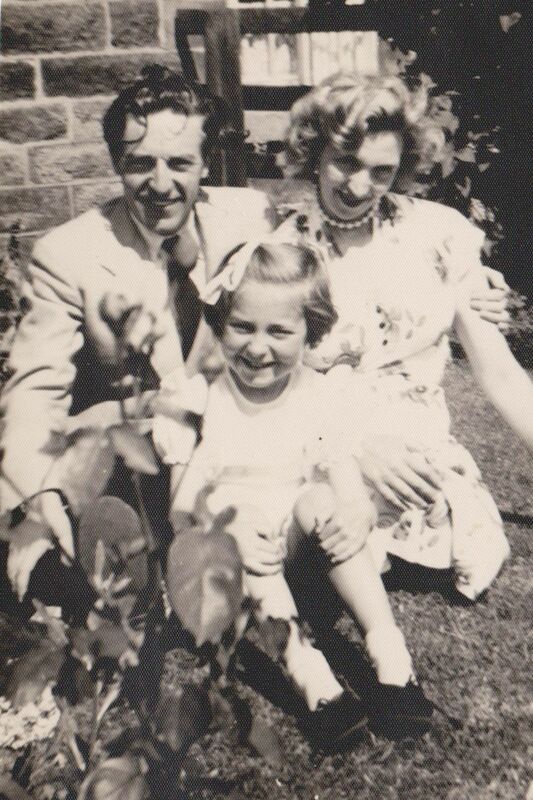 Herbert PICKERING born 1909 Whitby. 1.1.1.2.2.1.1.2.5.3. Kathleen PICKERING born 1910 Fylingdales. 1.1.1.2.2.1.1.5.3.1. William Leadson PICKERING born c1899 Fylingdales. 1.1.1.2.2.1.1.5.3.2. George Sayers PICKERING born c1905 Lythe. 1.1.1.2.2.1.1.5.3.3. Nora Elizabeth PICKERING born c1906 Fylingdales. 1.1.1.2.2.1.1.5.3.4. Thomas Hodgson PICKERING born c1908 Fylingdales. 1.1.1.2.2.1.1.5.3.5. 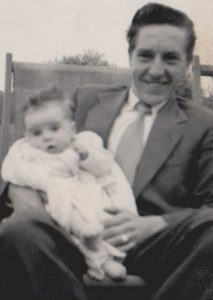 Cyril PICKERING born 1911 Newby.